This water feature was installed by Falling Water Designs in 2002! Over sixteen years in service and still working perfectly! The bamboo spigot which is installed for the enjoyment of the Hummingbirds recently rotted away and we replaced it. Other than that the water feature has run trouble free. 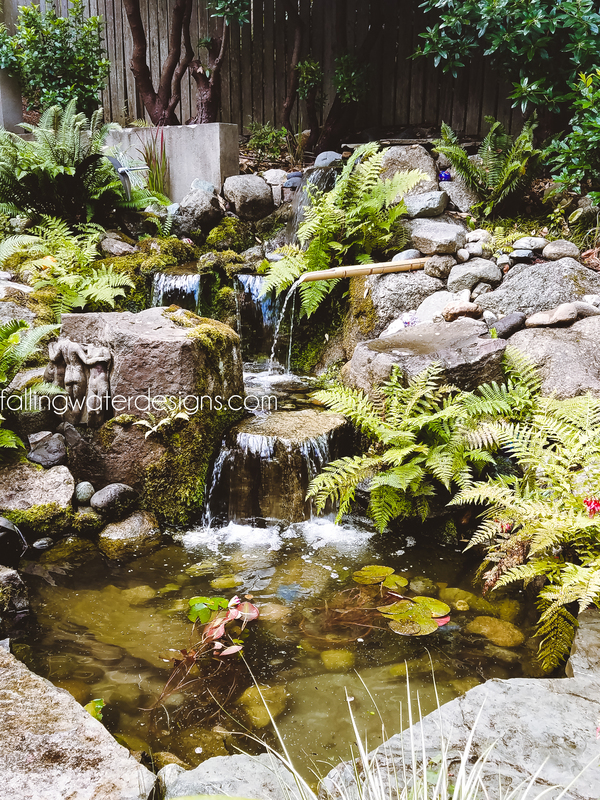 Want a water feature that will last a lifetime and be hassle free? Have us install one for you!